Earlier this week I discussed the amazing mood improving effects of flowers, but are you thinking of giving a gift that lasts a bit longer? Blooming plants are a great option then! 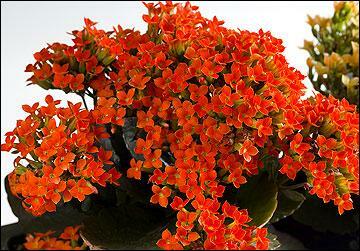 Kalanchoes are a durable houseplant that come in a variety of beautiful flower colors. They grow best in bright indoor light levels and a well-drained potting media. Be careful of overwatering as this is a succulent plant. The Cyclamen's heart-shaped leaves and blooms in shades of white, pink, rose, purple and red make it a popular selection for Valentine's Day. Cyclamen prefer cool temperatures and bright indirect light. 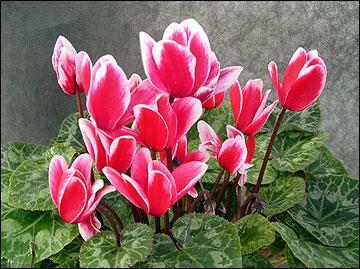 Avoid placing cyclamen plants near heat vents, as this will cause the soil to dry out too quickly. Cyclamen prefer to be kept moist but not soggy. 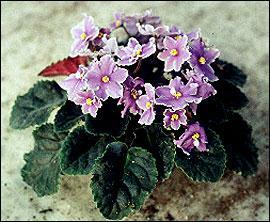 Outstanding among small, flowering potted plants, African violets in a good location should flower without interruption for years. Place in windows with bright light but no direct sunlight. Water frequently enough to keep soil moist, but allow slight drying between waterings. 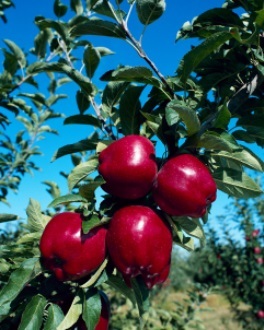 They are easily killed by excess soil moisture. 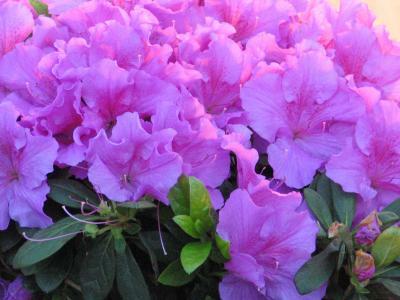 Although azaleas can tolerate normal room temperatures, they will last much longer in cool conditions. Place the plant in the coolest part of the house where temperatures remain from 60 to 65 degrees F. Keep the plant in a well lighted location, but avoid full sun while in bloom. Sun directly on the flowers will fade them and decrease their life. After flowering is finished, the plant should be moved to a sunny window. Never allow an azalea to dry out. 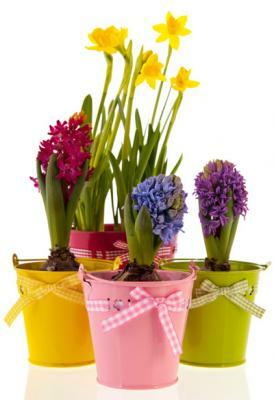 Spring flowering bulbs like tulip, hyacinth, narcissus (daffodil), grape hyacinth and crocus can be forced to provide an early pop of spring. Place the plants in a cool spot where temperatures at night are about 60 degrees F. Do not place them in a sunny location as the warm temperatures in sunshine will speed flower development and shorten the life of the flowers. Keep the plants moist but not standing in water. 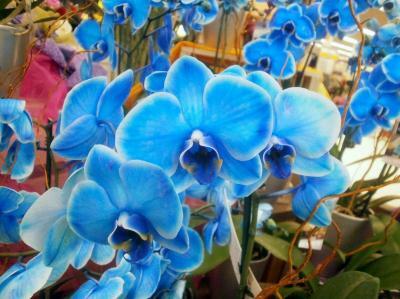 One of my favorite blooming plants, orchids make an excellent gift. Their beautiful blooms last for months at a time in many striking colors. A bright window with indirect sunlight all day is ideal for orchids. In general, water once a week. Photos sources: University of Illinois Extension and Missouri Extension.